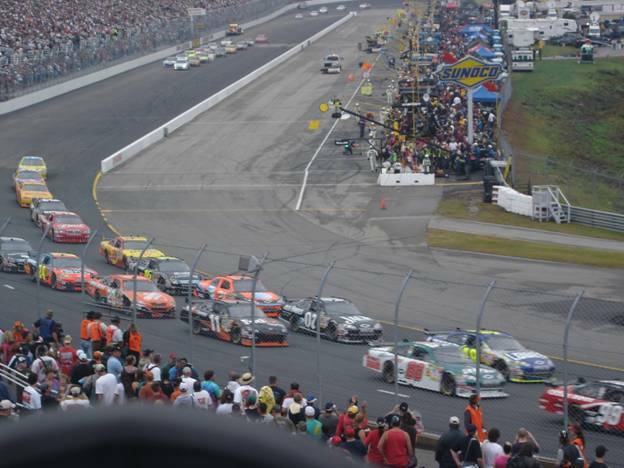 Enjoy the heart pounding thrill of NASCAR at the New Hampshire Motor Speedway in Loudon, NH. Formerly known as New Hampshire International Speedway they hold races annually in July and September. We are located close enough to the track so it’s not too far of a drive but far enough away where you won’t have to deal with the traffic. Go to the track and spend a day at the speedway, come back and relax by an evening campfire and make some dinner on our gas grills. Here at Savoie’s Lodging we take pride in making everyone feel like family. So enjoy a nice day at the track, stay with us, relax around the campfire and enjoy everything we have to offer at Savoie’s Lodging.